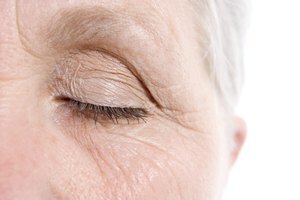 Upper eye fat is caused by the accumulation of fat in two compartments over the eyelid. It is generally not related to diet and weight, so in many cases the only option for removal is surgery. In this procedure, the fat is removed in a "lump" through a small incision behind the eyelid. 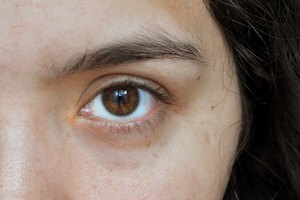 However, while eye fat cannot necessarily be removed by dieting, changing dietary habits can alter the look of your upper eye bags. So before you call up a plastic surgeon, try these simple fixes. Stay hydrated. One of the most common reasons for chronic eye puffiness is dehydration. Conventional wisdom recommends that you drink eight eight-ounce glasses of water each day. However, you can add a few more or a little less as your body requires. The important thing is that you remain hydrated. 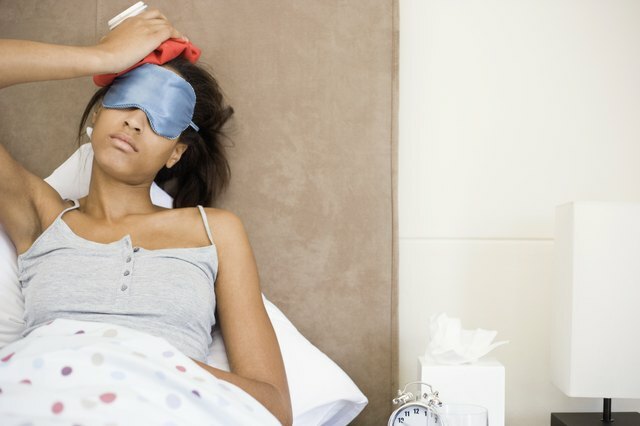 Place a cold compress on your eyes whenever they start to feel irritated. Rubbing your eyes when they are exposed to allergens only grinds in those allergens. Instead, rinse your eyes with cool water. Then place a cold compress over your eyes for 20 minutes. This will reduce swelling and relieve irritation. Start using an anti-aging cream on your upper face. As your skin ages, it sags. This can cause upper eye bags to look like pockets of fat. Using an anti-aging cream with Vitamins A or C is a great way to put a serious boost back into dry, aging, sagging skin. Make sure that you consult a dermatologist to get the right cream for your skin and to make sure that you are using it effectively. Sleep with your head elevated. 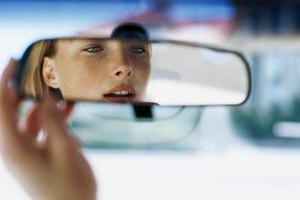 This will help prevent eye puffiness, and keep your upper eyes from looking fat. 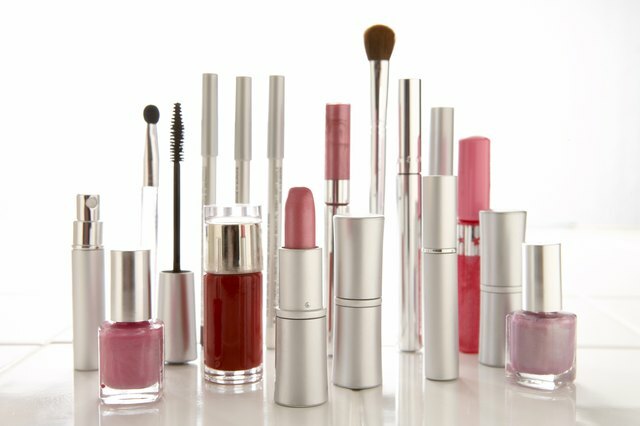 Throw out all of your old makeup. 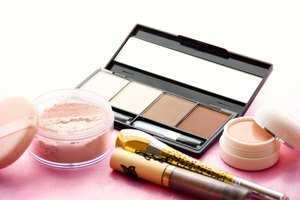 Do not use any eye makeup that is more than three months old. It may contain bacteria that can infect your eyelids and cause the upper eyelid to swell. If using new makeup doesn't help your condition, consult a doctor to see if you have a bacterial infection.